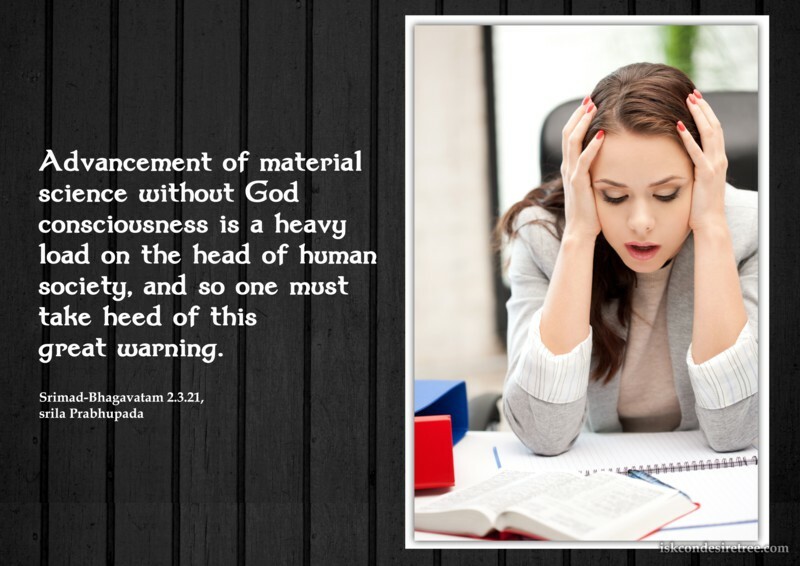 Advancement of material science without God consciousness is a heavy load on the head of human society, and so one must take heed of this great warning. 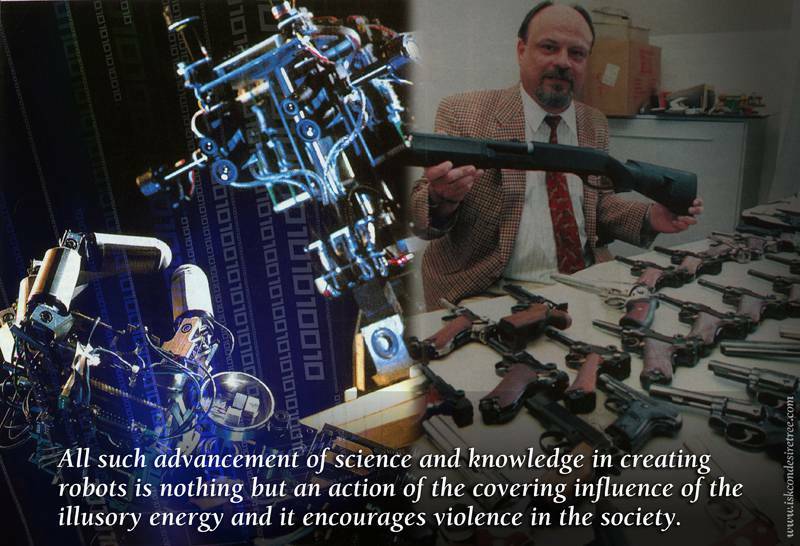 All Such Advancement of science and knowledge in creating robots is nothing but an action of the covering influence of the illysory energy and it encourages violence in society. Due to so-called improvements in material opulence, people have entirely given up the path of realization. Practically no one is interested in God, one's relationship with God or how one should act. Modern men have altogether forgotten such questions because they are mad.